a ska loving geek: week 32.
bump is a little bigger now. baby is moving like crazy and has its feet pressed against my diaphragm most of the time so im struggling to breath. the midwife measured me last week and im 2cm less than i should be, apparently 2cm is fine but if it happens at my next appt in 2 weeks i'll need another scan. 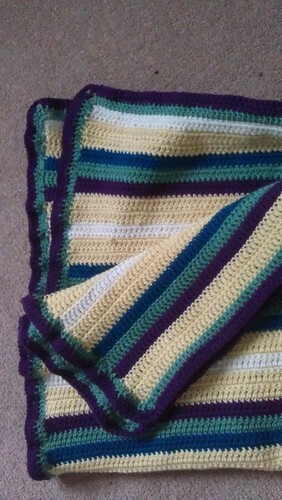 i finally managed to finish my baby blanket.